Designed to be the 'ultimate urban bicycle', the Dahon IOS XL is an interesting addition to the ever growing folding bike sector. Made by folder specialists Dahon, the IOS XL immediately makes its presence felt, with its price, its weight, and the sheer number of bells and whistles that come as standard for that not insignificant price. The IOS XL is definitely a bit different. For starters it sports 24' wheels as opposed to the 20' option favoured by many folding bike designs. The larger wheels are designed to give the IOS more of a 'big bike' ride, with handling less like that of a folder. The idea is to give the benefits of a folding bike, with the essential qualities of a full-size bike. These larger wheels are paired up with Avid Juicy hydraulic disc brakes and a Shimano Alfine 8 speed hub gear, as well as a whole host of neat details. The frame is one-size-fits-all, with adjustment in both the bars and the seatpost aimed at accommodating riders from 5'2' to 6'4' and a suggested weight limit of 105kg, so it's not an impossible proposition if you're a larger rider. 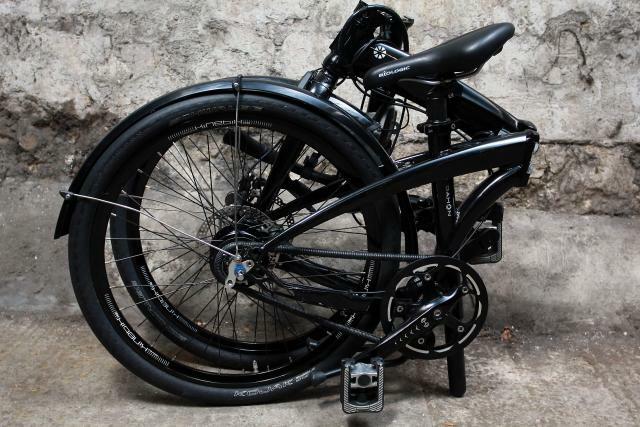 The hydroformed aluminium frame has folding couplings in the middle and at the steerer tube, allowing the bike to be folded easily and effectively. In addition to the basic structure of the bike itself, Dahon have added in some features to make the IOS XL appealing to the most demanding of urban riders. A decently bright integral Dahon Valo LED light, dynamo driven and with a stand light comes as part of the package, as does the nifty pump integrated into the seat tube. Possibly the most innovative feature that's part of the IOSXL deal though, is the dynamo driven BioLogic ReeCharge (£75 on its own) charger pack with its USB connection for charging any of your electronic gadgets with nary a plug socket in sight. 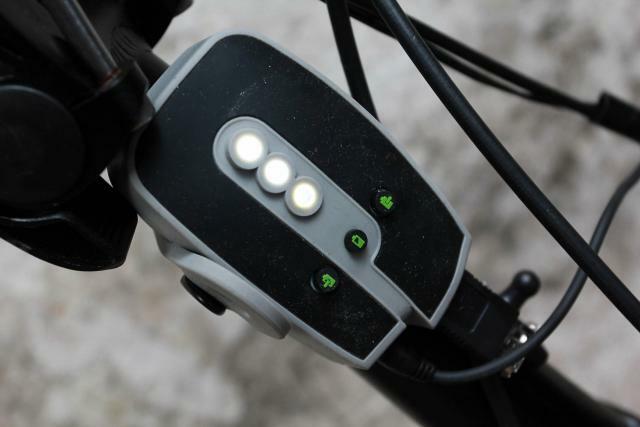 The charger can easily be taken off the bike too, for away from the bike charging at any point during the day. The Dahon IOS XL is a doddle to fold and unfold, quickly transforming into a compact package not much bigger than smaller wheeled folders. With magnetic plates to keep it folded, it's easy to transport, while the stand and fold away pedals make parking it simple too. The seat post height and bar angles are quickly and easily adjusted. It's a good few kilos heavier than most traditional folders, but although heavy to carry very far, it's not unmanageable. A choice of optional carry bags are available specifically designed to make life easier, but it's perfectly easily carried without. Despite its bigger wheels and longer wheelbase, the Dahon IOS XL still rides very much like a folding bike, albeit with a greater feeling of confidence and control. On the flat it handles smoothly and reasonably responsively, with the Alfine hub making transitions between gears easy, smooth and effective. Power transfer is on the ponderous side, much as you'd expect from a bike with 24' wheels, a 15kg weight and a hub dynamo, but it's still got a fair turn of speed when necessary, it just takes a while to work up to it. The hydraulic disc brakes offer a reassuring level of stopping power with little effort, making it a good option for high traffic flow commuting. It would probably be fair to say the Dahon IOS XL has been designed mostly with flattish terrain in mind, such as city streets, cycle paths and the like. On surfaces such as these it functions just fine. 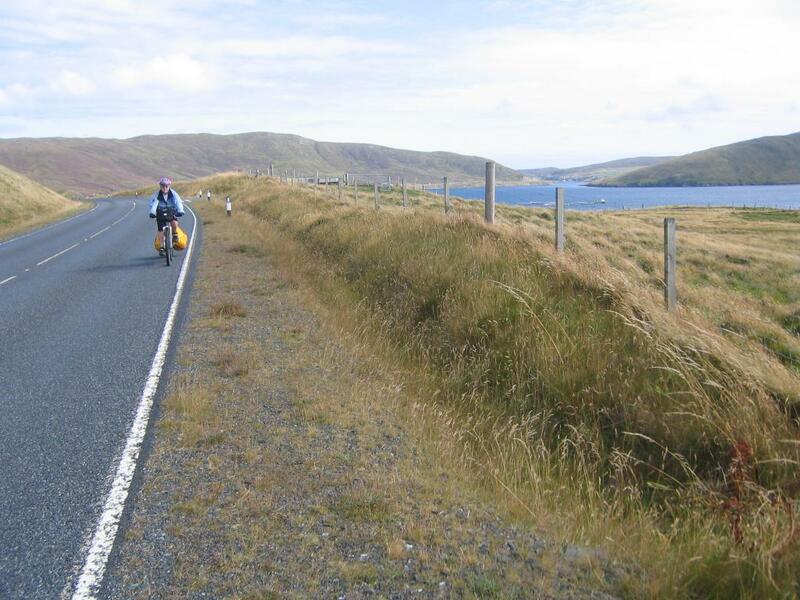 When hills are involved however, it's a different matter. Ascents bring to light the lack of leverage off the handlebars offered by the design. Absolutely ALL the power is coming from the legs when climbing, it's a fundamentally heavy bike and it's all but impossible to stand up out of the saddle due to the short distance between bars and saddle. For each pedal revolution there's a complimentary impact with the nose of the saddle. Handling is erratic when climbing also, due to the geometry of the bike, making signaling a tricky manoeuvre requiring advance planning and weight shifting. When descending, the bike is relatively stable, but again, steering is sufficiently twitchy to not inspire confident descending, also not helped by the transfer of road bumps and unevenness up through the seatpost. A word on the BioLogic ReeCharge- it's a fantastic gadget, and incredibly easy to use. A great way of charging your iPhone, GPS or similar either while on the move (protective cases are available that will fasten to the bike allowing for on bike use and charging) or by making use of all that stored energy in taking it with you in your bag or pocket. That said, it seems to sit slightly awkwardly on what is inherently a city bike, presumably for predominantly shortish distance use. It's hard to imagine a city commuter using a GPS on the move, and there's no doubting the lack of wisdom in using your mobile while negotiating busy traffic, so it's hard to see the benefit. Surely a phone can be plugged in to charge at the office? It's innovative technology and would be genuinely useful on a touring bike, but seems a little like gilding the lily on the Dahon. The Dahon IOS XL is a very competent and comfortable to ride city folder, with decent enough handling and power transfer on the flat city streets it's designed for. It folds easily and effectively and would do a great job as an everyday bike for someone with storage space issues, but ultimately £1499.99 is a lot of money for what fulfils the same role as many folders substantially lighter and costing significantly less. Yes, the wheels are bigger and the handling more like a non-folding bike, and you do get some great components and extras but it's still hard to justify the additional cost. A superbly well featured folding bike, great for urban duties, but ultimately it's hard to escape the price, even with all the bells and whistles. Chain- Rust Block, GST, 3/32"
Designed to be the "ultimate urban bicycle" with everything an urban cyclist could want. It has all the bells and whistles and urban rider could possibly want, but possibly more than you'd actually need and at a not inconsiderable price. Very well made and with a good finish quality. Folding couplings smooth, easy to use and robust. Tough, durable and lighter than if it were made from steel. Very upright ride- it's a folder, all said and done. Full adjustable, so one size fits anyone from 5'2" to 6'4"
Reasonably comfortable to ride, but very upright, felt high up even though I'm only 5'5", and quite an exposed feeling riding position. Whole bike felt reasonably stiff, especially considering the folding element. Sluggish power transfer on anything remotely resembling a hill, and fairly slow to accelerate on the flat, but once some momentum was going, speed was reasonable. How would you describe the steering? Was it lively, neutral or unresponsive? Slightly twitchy steering. Overall the bike felt ponderous and slightly flighty, due to the very upright riding position. All quite comfortable. Adjustability very good. Overall weight of bike was main problem in efficiency, and very upright riding position and geometry, making it difficult to use the bars as leverage and virtually impossible to get out of the saddle on hills. Heavy and slow to get going. Virtually impossible to get up out of the saddle too. Stable enough on the flat, but less stable on inclines or declines at speed. No problems at cruising speed. Fine on flat corners, but watch out for the very low bottom bracket and pedals. Rider feels very exposed on descents, due to high riding position. Twitchy steering also makes cornering on descents a nervy experience. It's not a bike intended for serious hills, and it manages small inclines just fine, but major slopes are not great. It's hard to put any welly into a climb when you can't get out of the saddle and you can;t pull on the bars. Smooth, reliable and no fuss. Not a bad weight, especially when you look at the weight of the bike overall. Good value for a minimal fuss drivetrain. Especially when compared to the equivalent Rohloff. Very smooth trasmission, easy to look after, with minimal maintenance required. Fold-away pedals a nice touch. Rolled just fine, with little resistance, yet were capable of coping with some rougher towpath type trails. Robust and in line with the weight of the rest of the bike. Reasonable levels of comfort, road buzz not too bad. Worked well for around town riding and even coped fine with some gravel trails. Well positioned, comfortable and easy to use. Made easier by adjustability of bike. Decent spec on what's a reasonably pricy bike. Much as you'd expect. Adaptable and easy to use. Highly adjustable. Kick stand handy, especially enabling parking when folded. Dynamo driven battery a brilliant idea, but seemed slightly surplus to requirements on this particular bike. Did you enjoy riding the bike? Yes, but more on the flat. Would you consider buying the bike? Possibly- if I lived in a city and had a surfeit of money. Would you recommend the bike to a friend? Possibly- for a wealthy city type who didn't want to use a Boris bike. A very well built and high quality bike, with plenty of innovative touches, but ultimately overspecced and overpriced. Bit late this review, as Dahon have been dropped by Zyro and so no longer have a UK distributor. But the bike is still available from a few outlets in the UK.